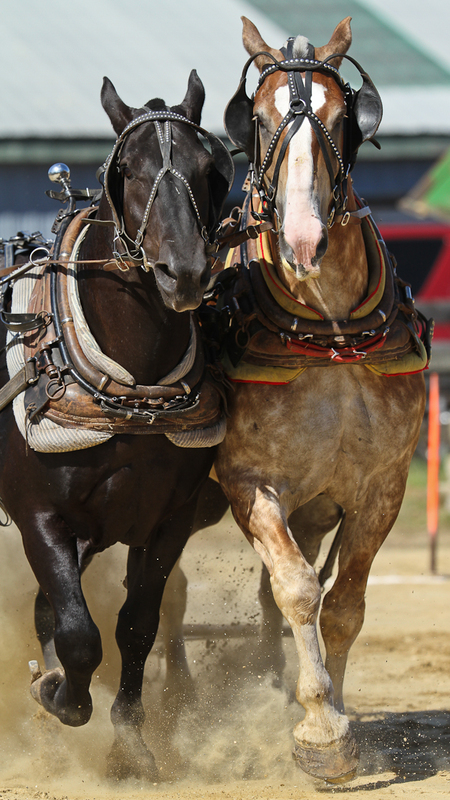 Pleased With My Work : Beautiful Animals and Great People!! 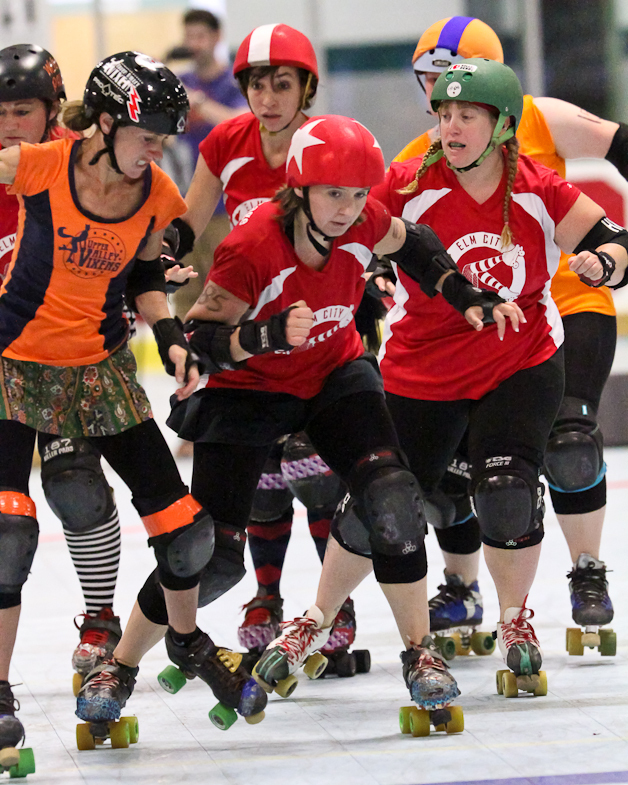 E-mail (mckfam@ncia.net) if you want image files suitable for printing. 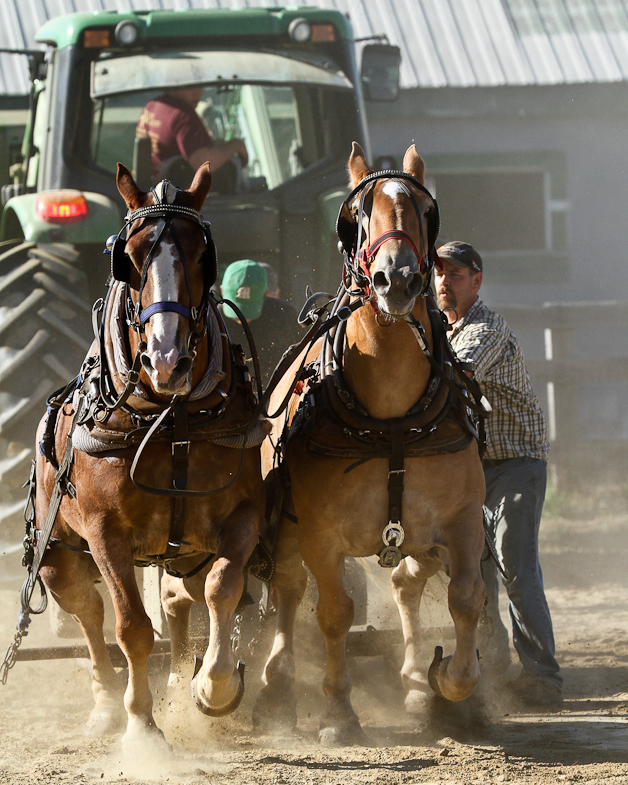 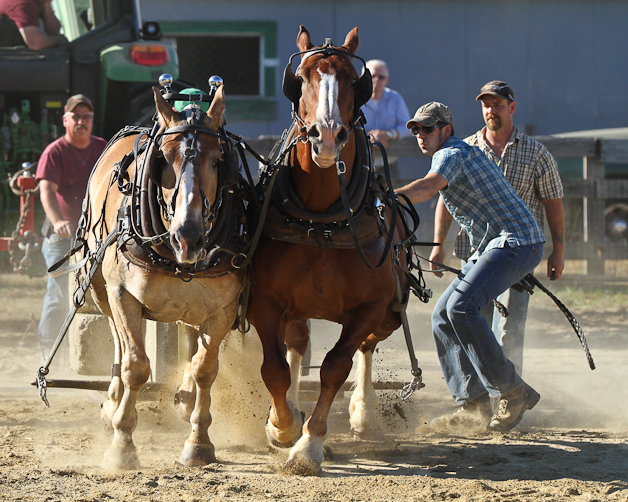 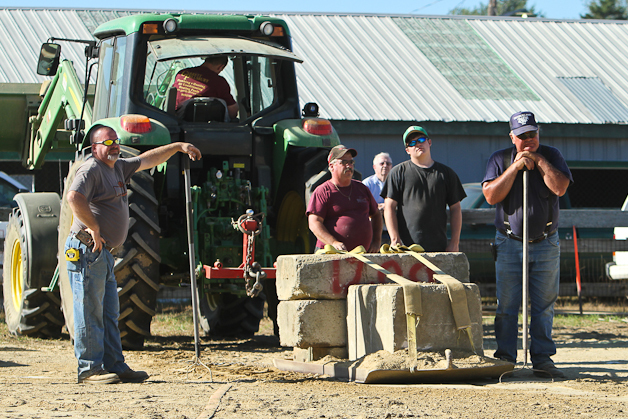 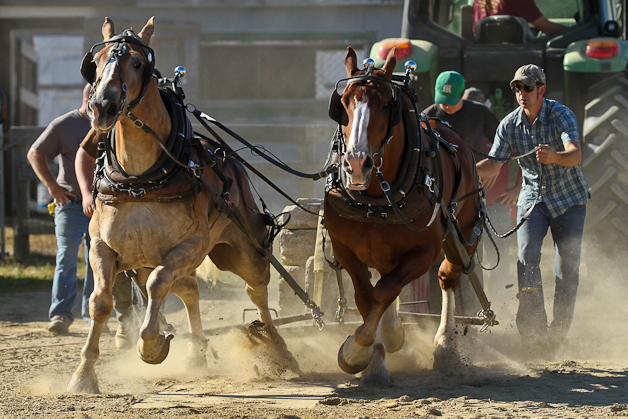 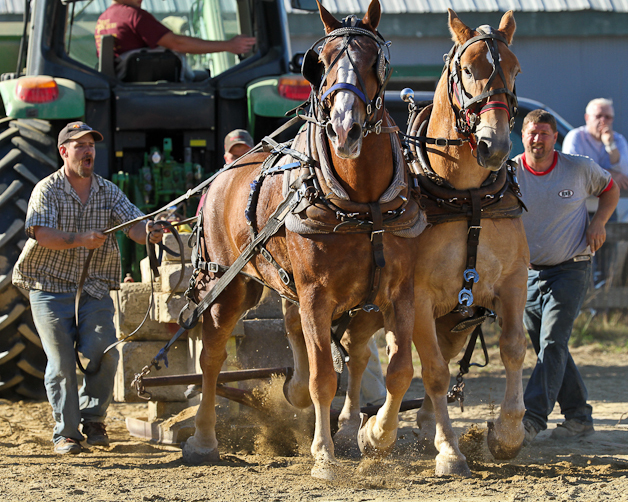 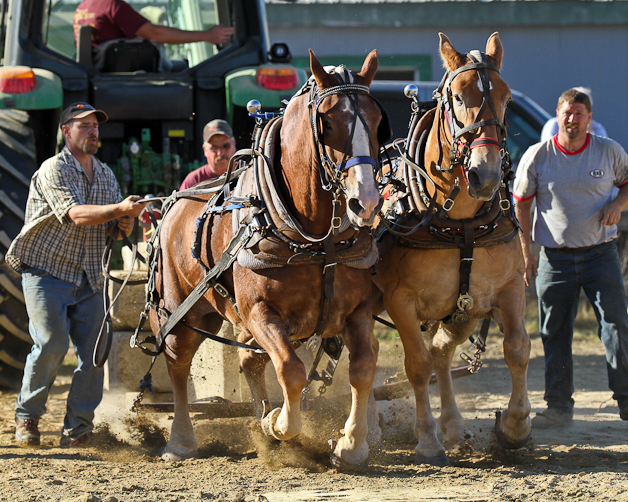 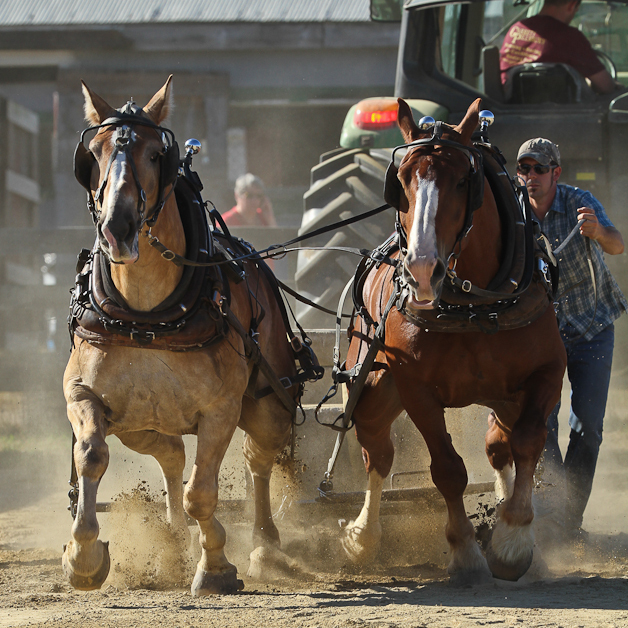 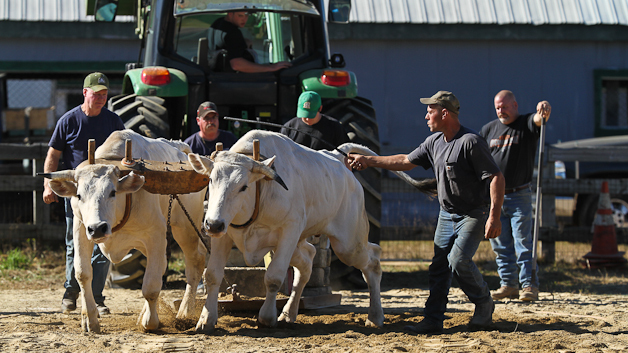 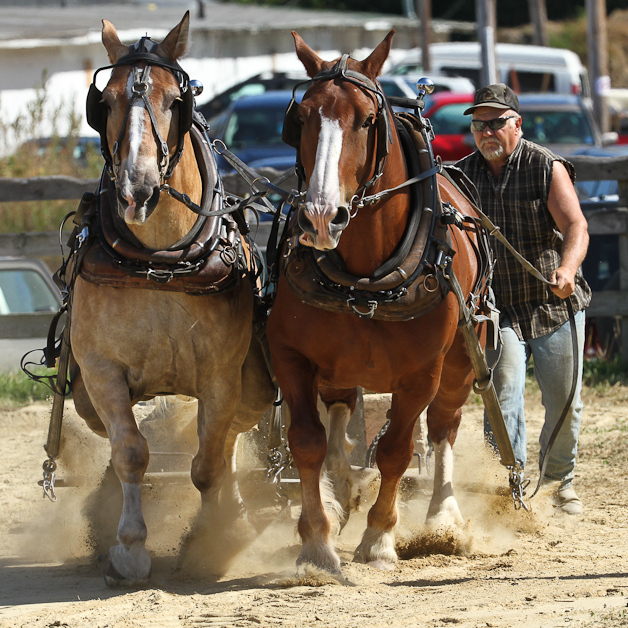 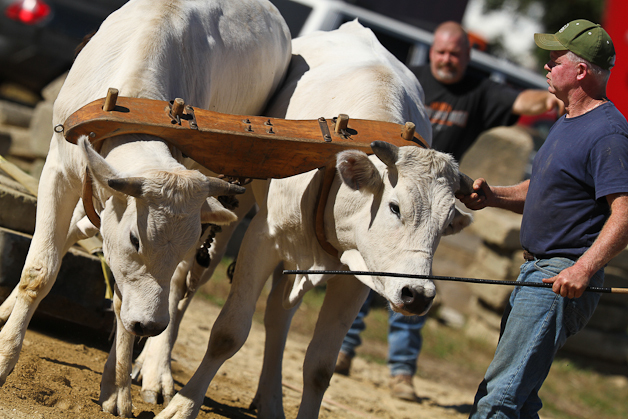 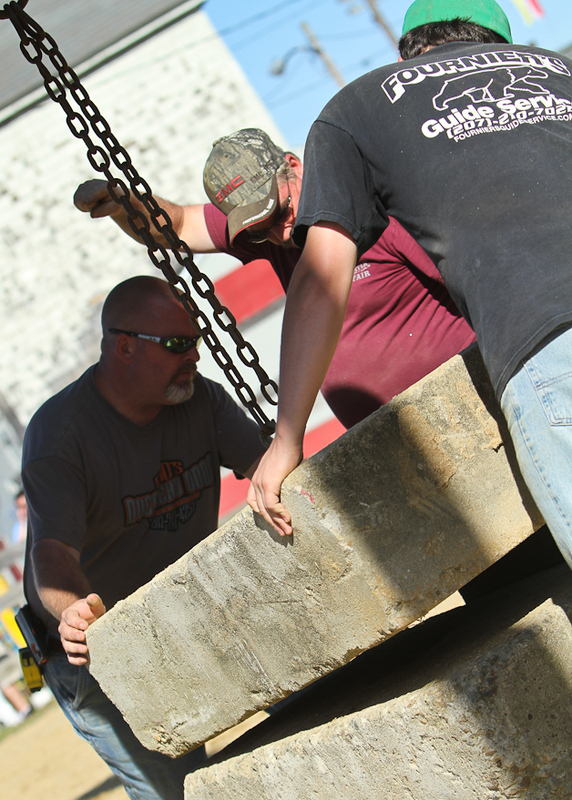 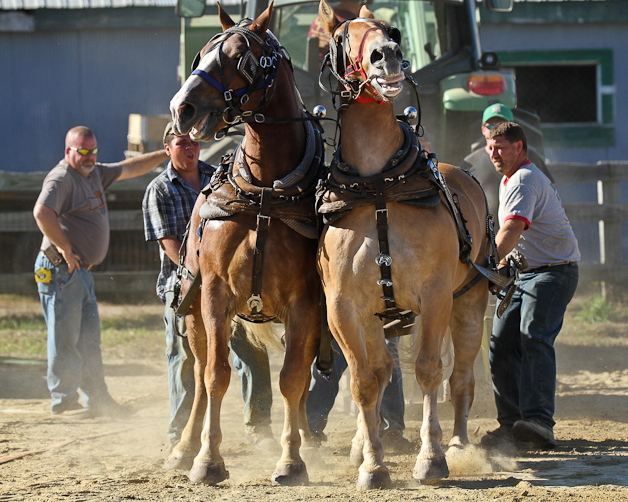 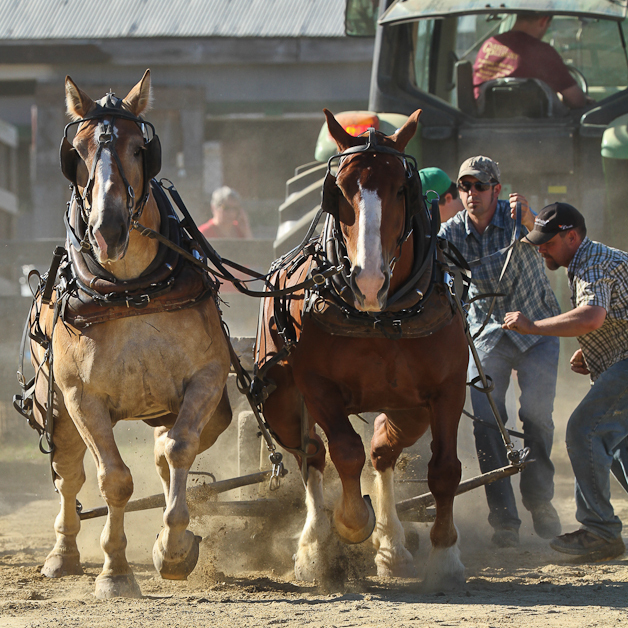 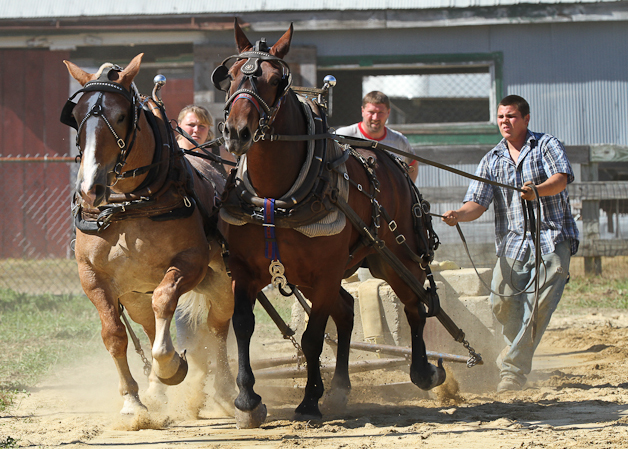 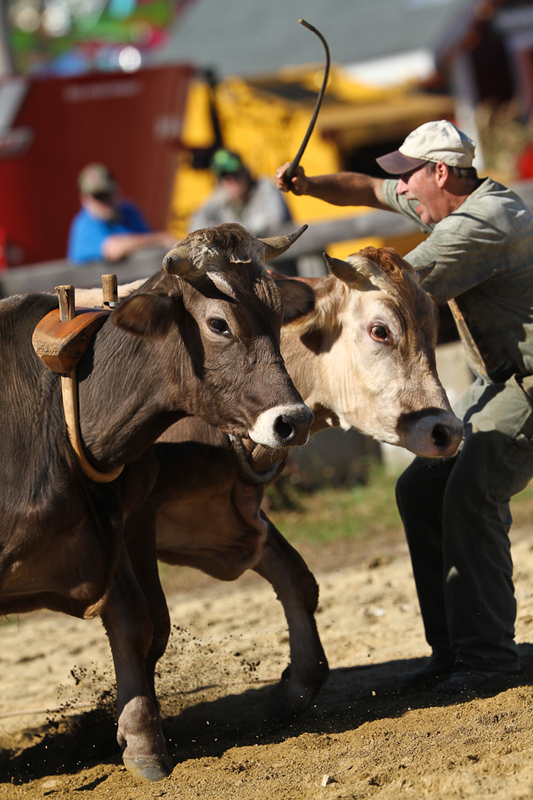 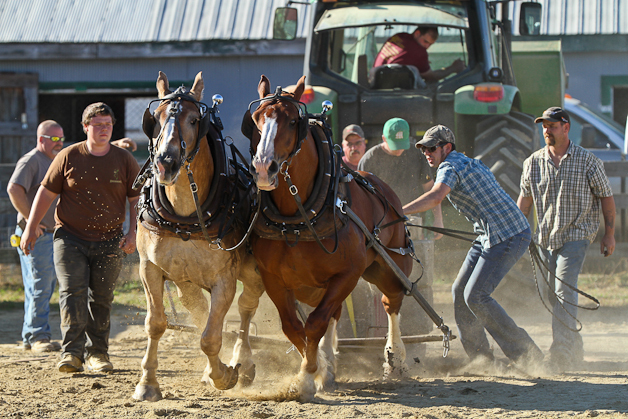 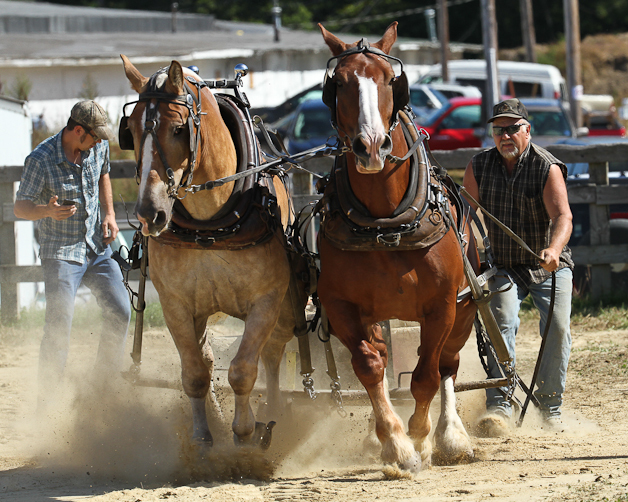 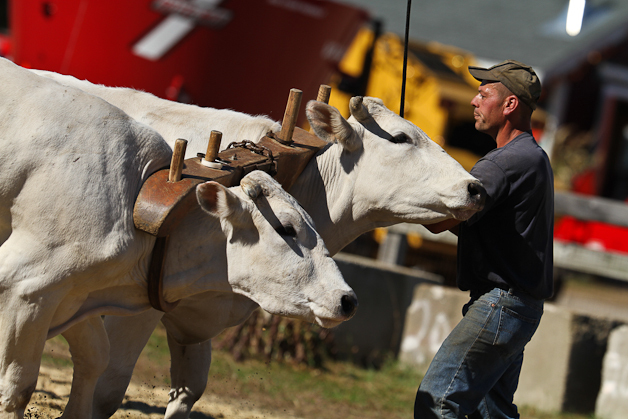 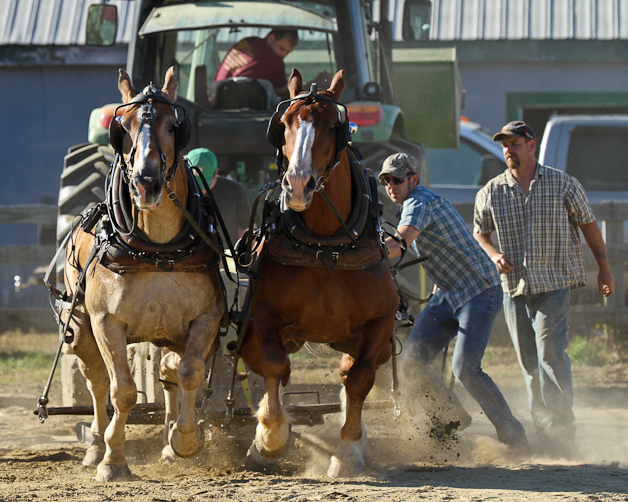 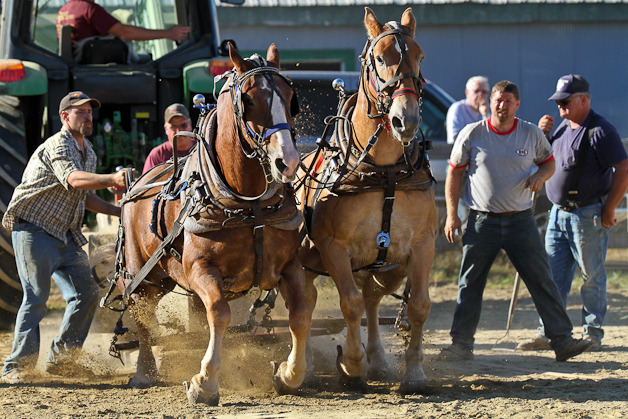 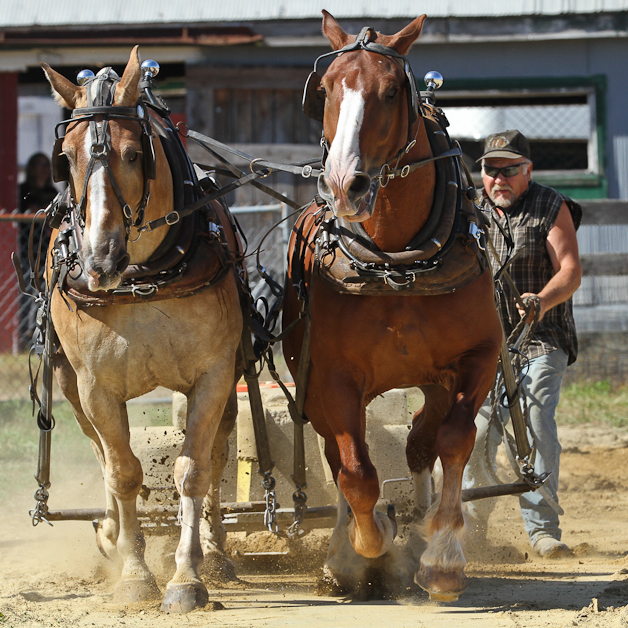 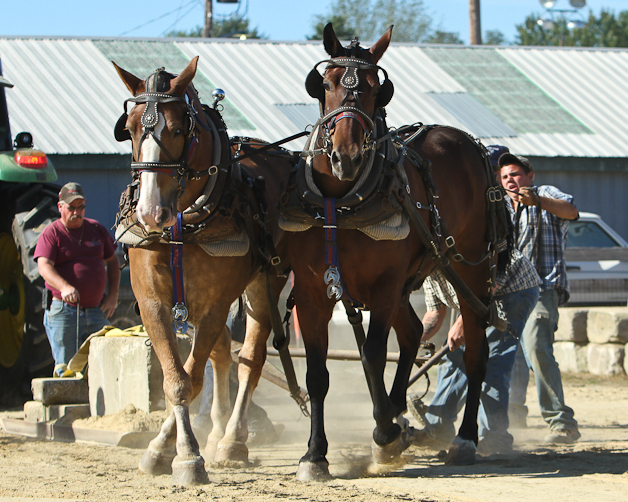 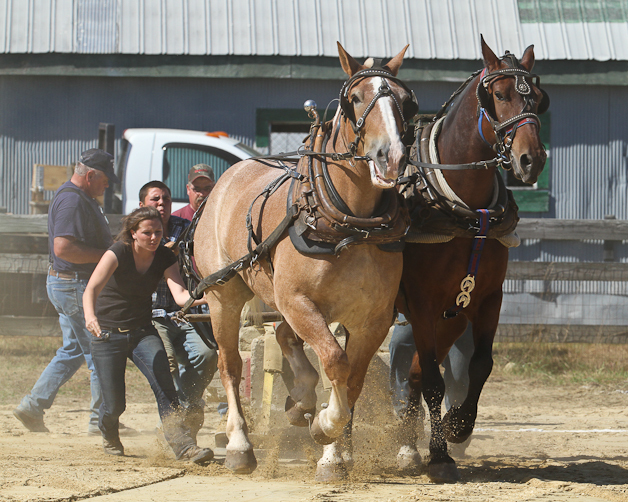 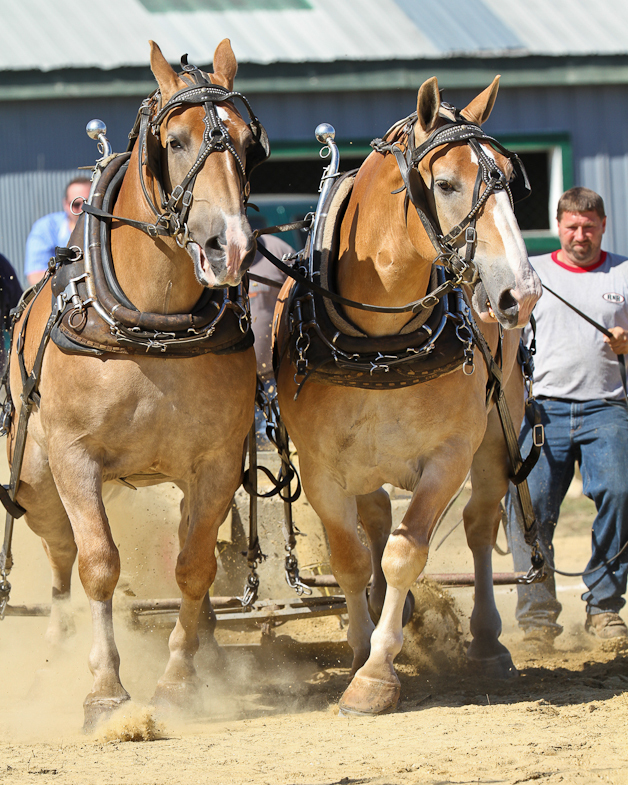 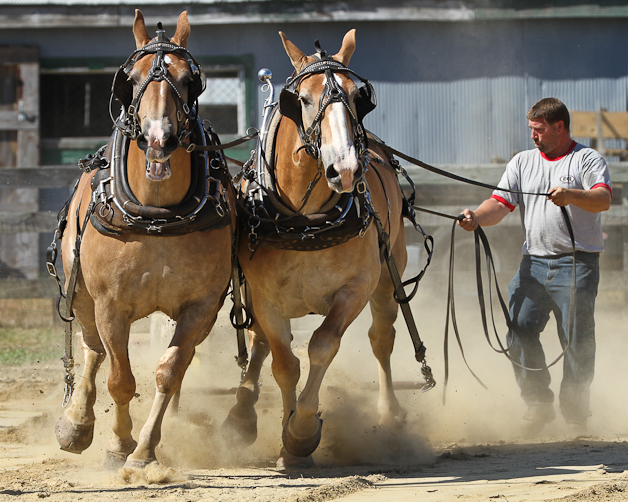 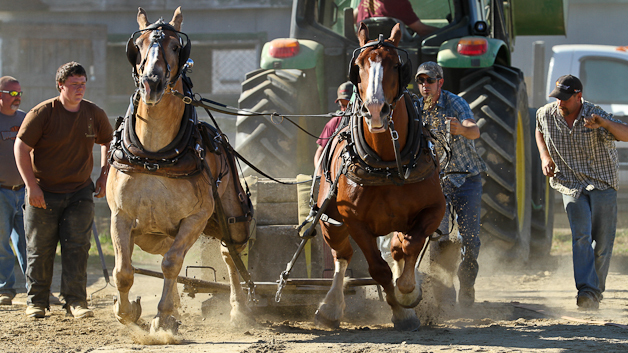 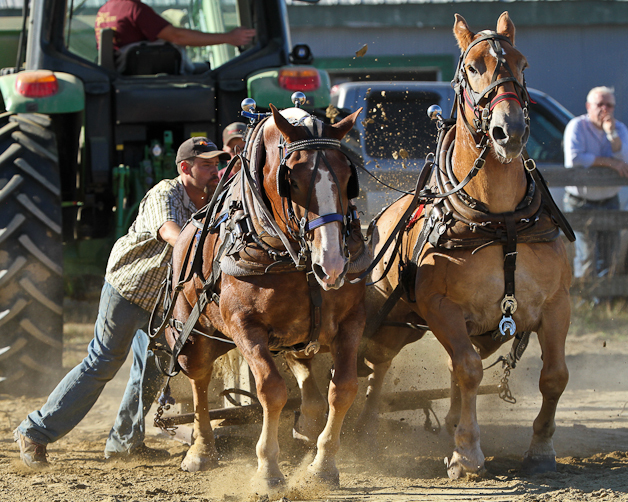 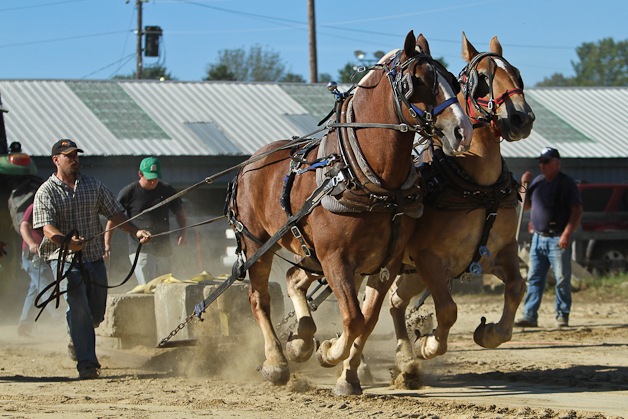 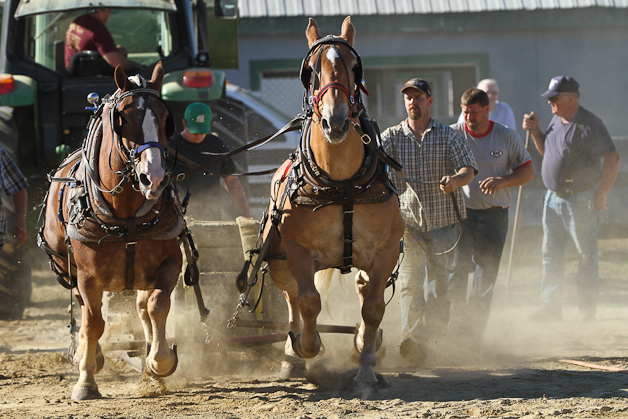 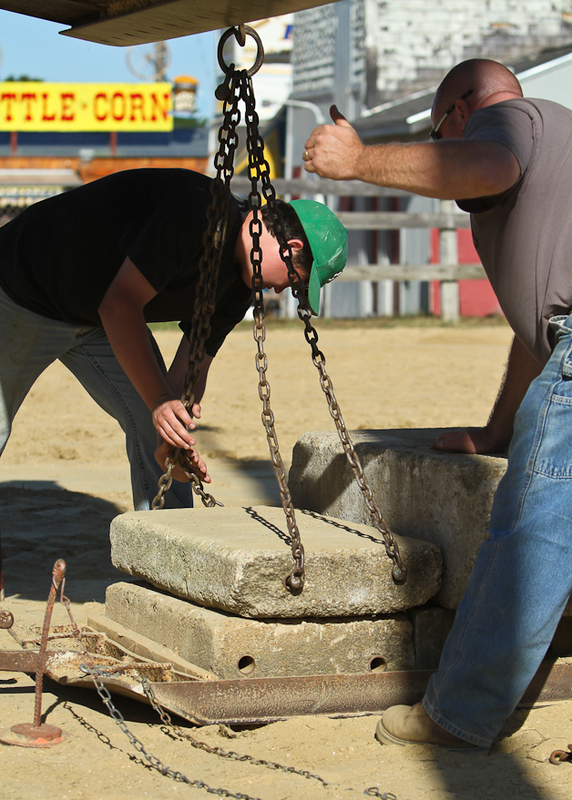 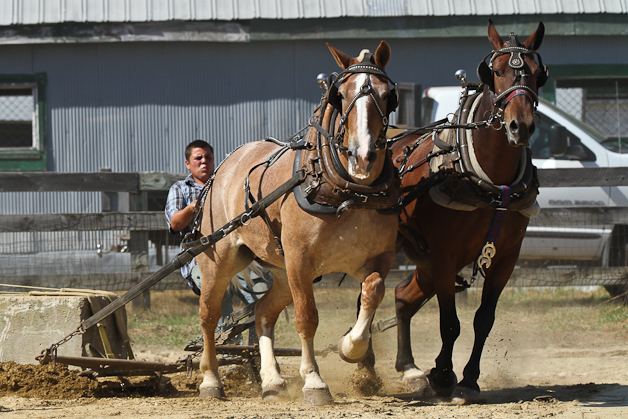 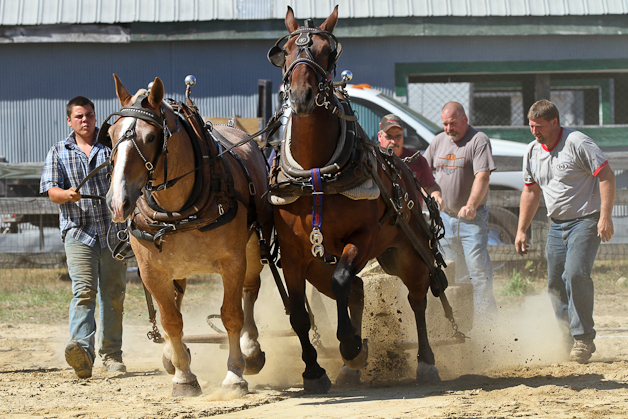 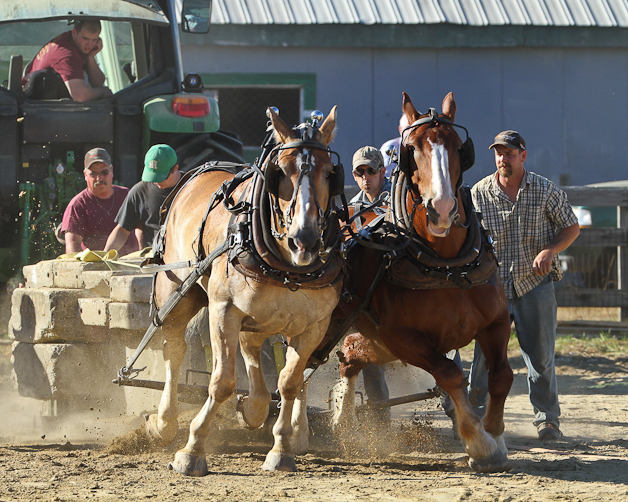 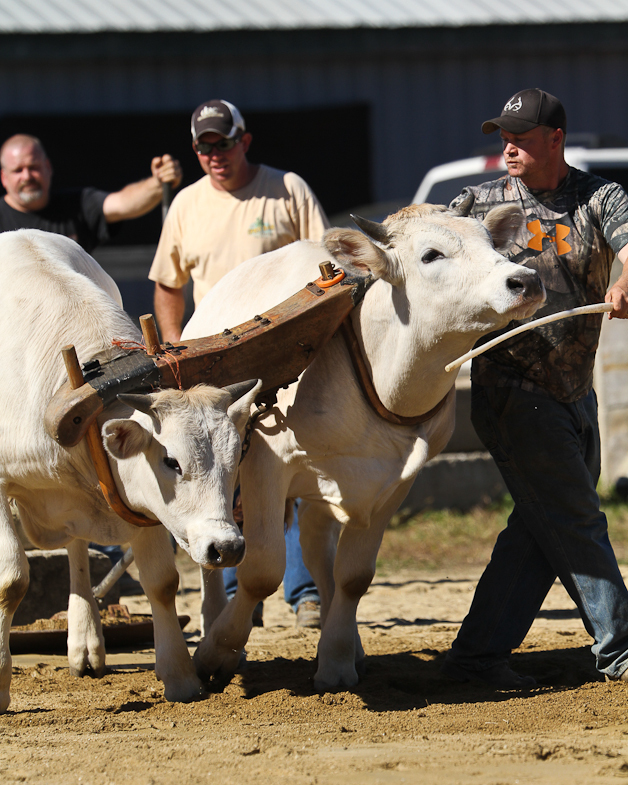 We will see the teamsters and pulling event fans at the Deerfield Fair next week/weekend. 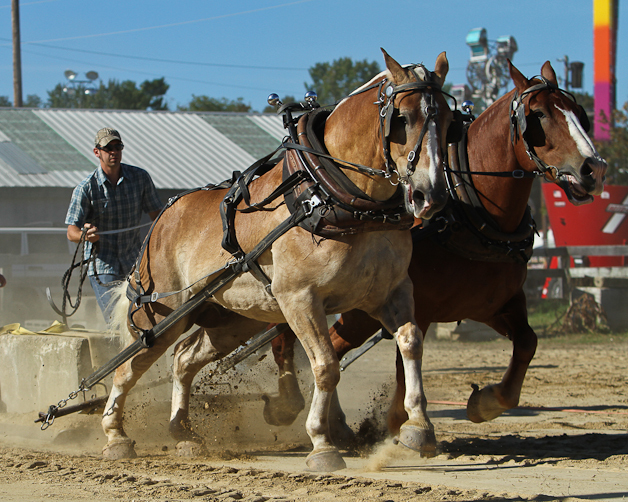 See you teamsters and pulling ring fans at the Deerfield Fair. 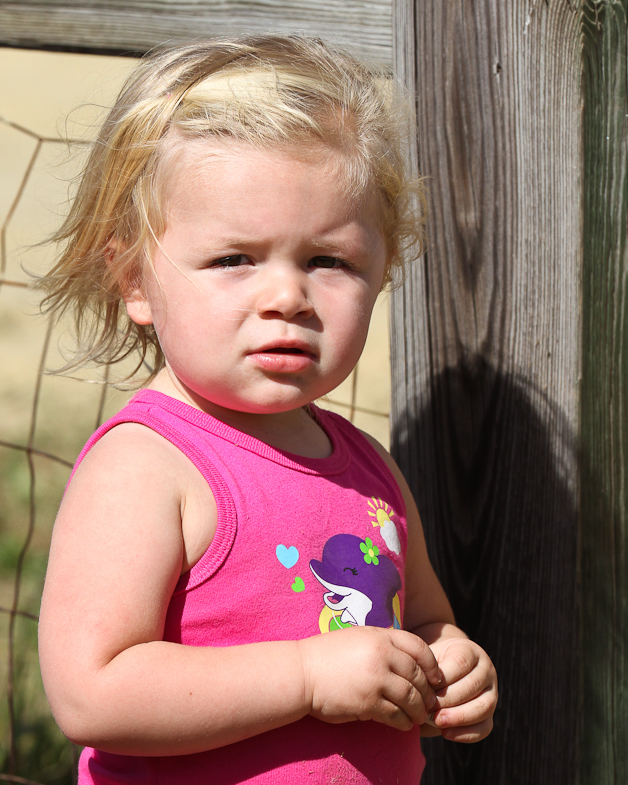 Email mckfam@ncia.net if you want full size image files for printing. 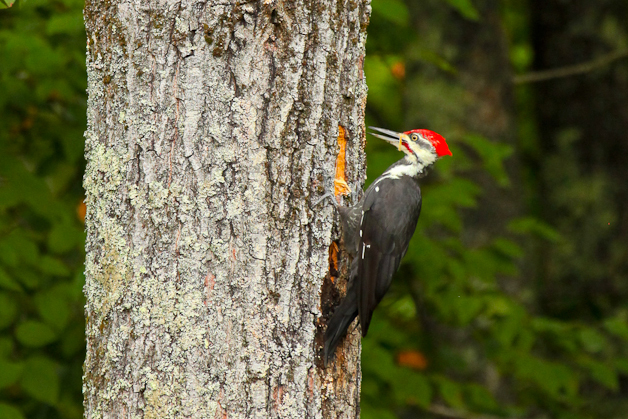 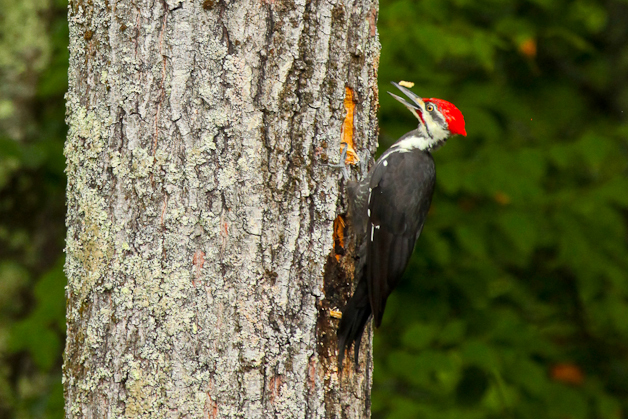 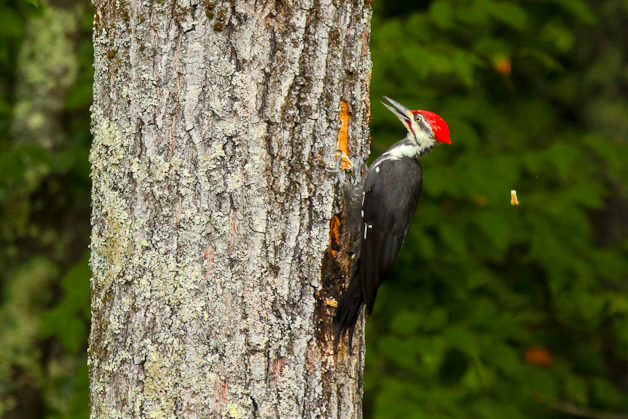 Four of these big pileated bad boys swooping and gliding through this Barrington (NH) back forty. 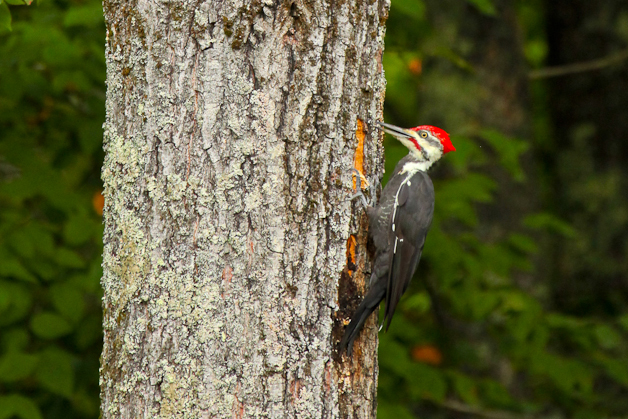 One perched for viewing; the chips were flying. 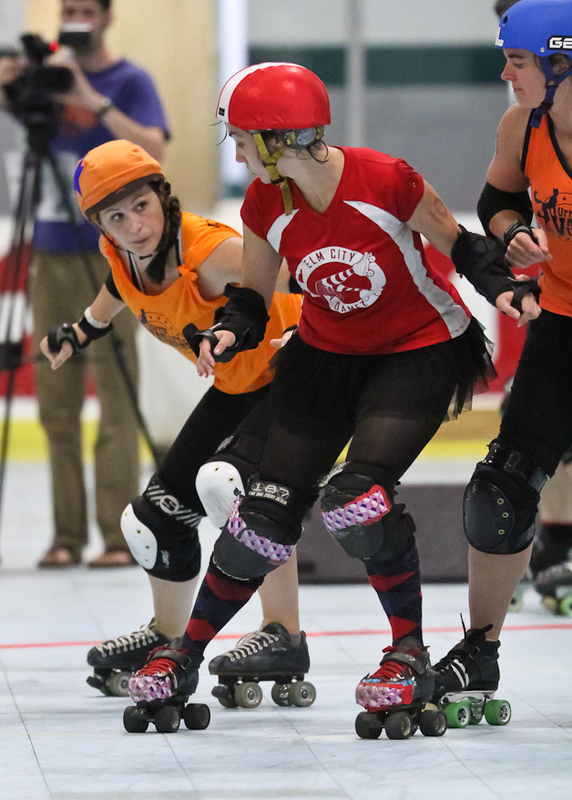 Upper Valley Vixens final home bout of the 2013 Roller Derby bouting season. 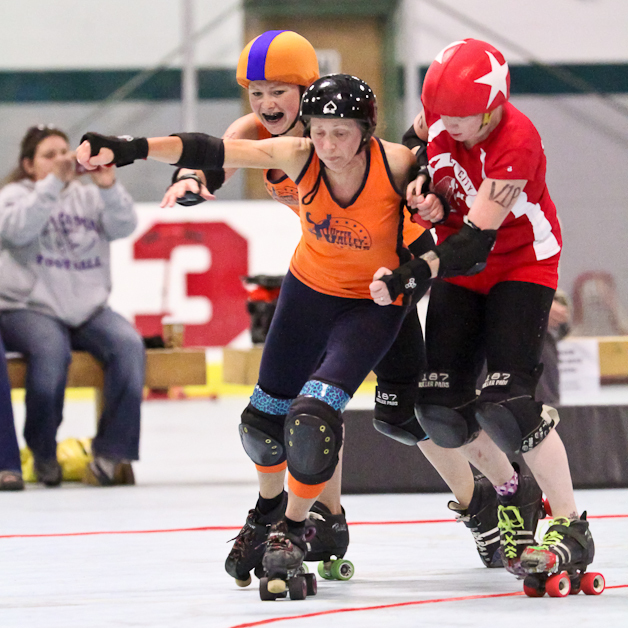 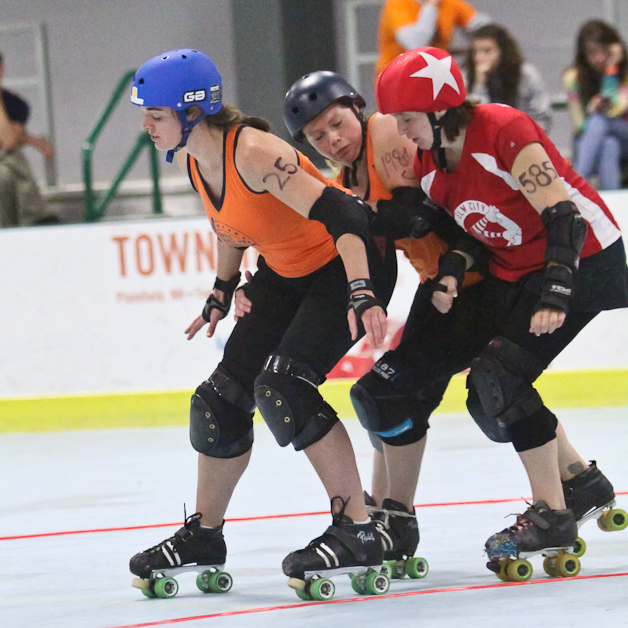 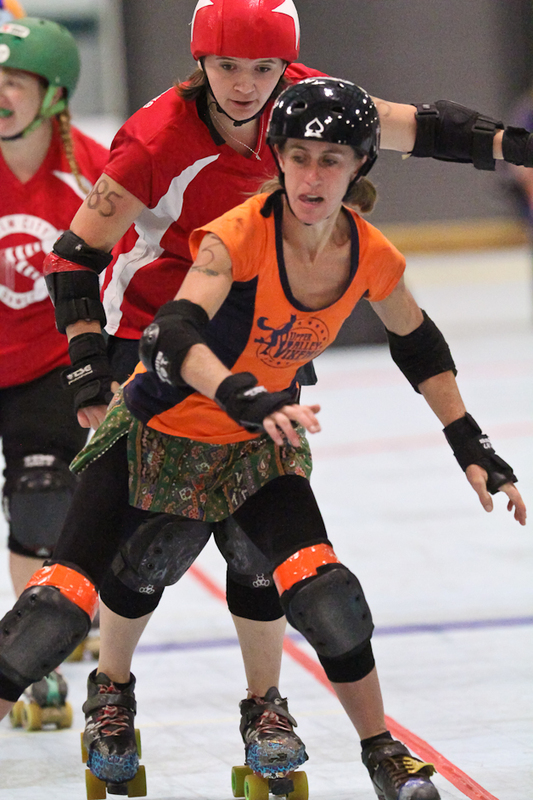 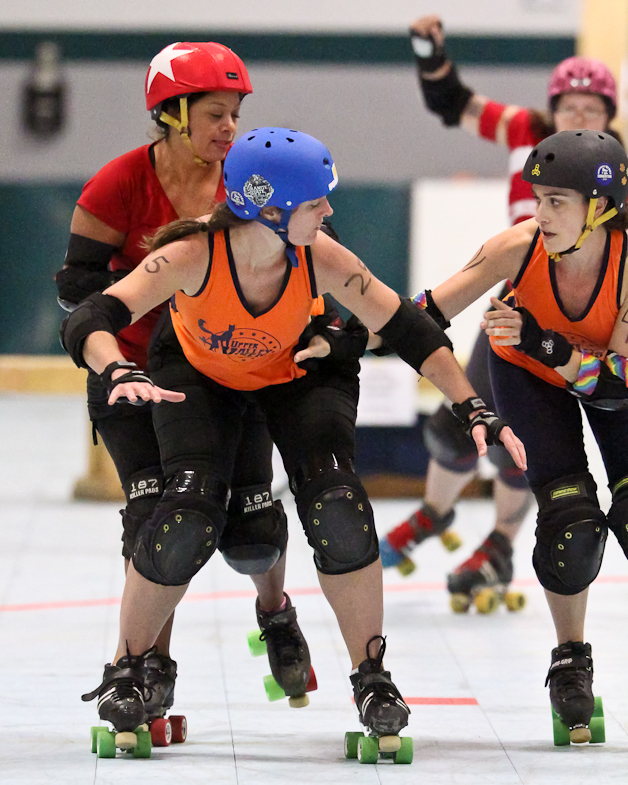 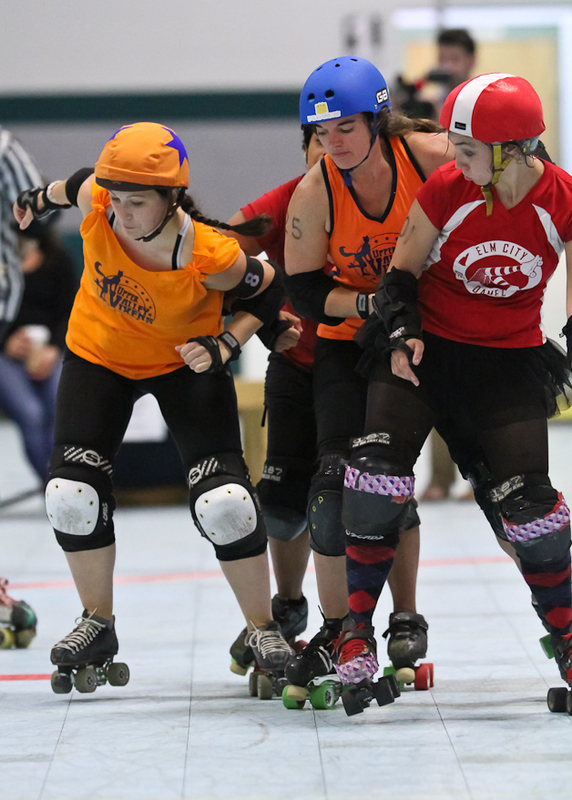 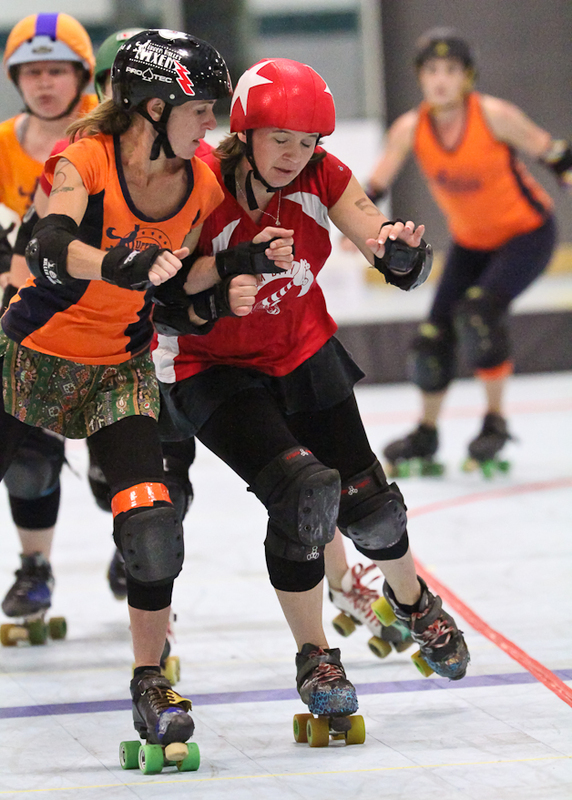 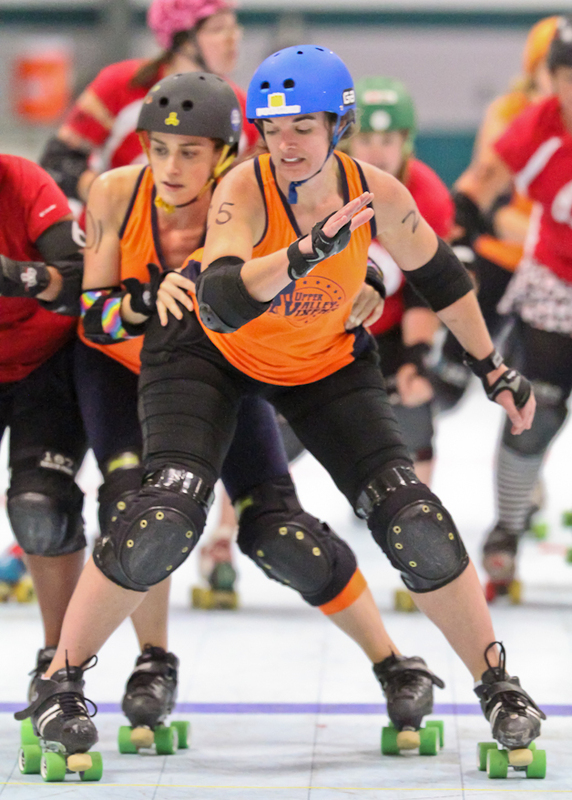 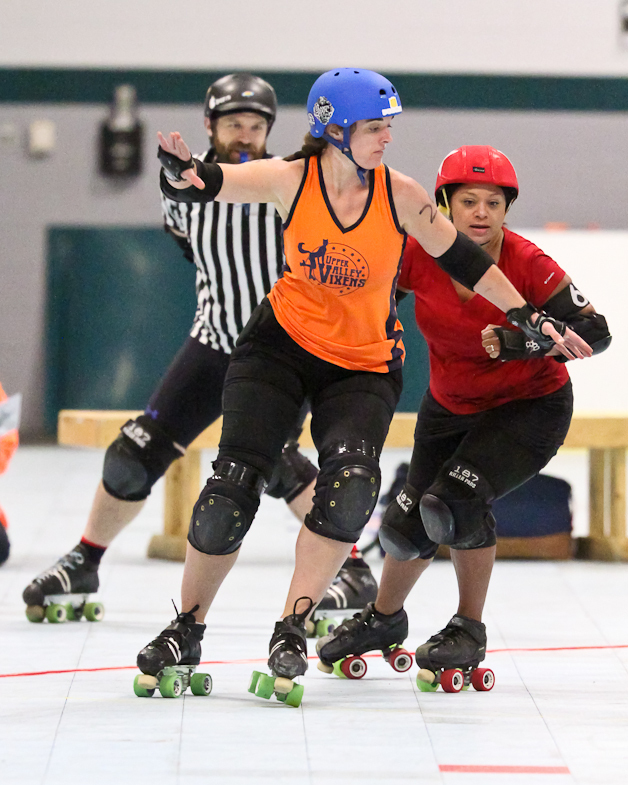 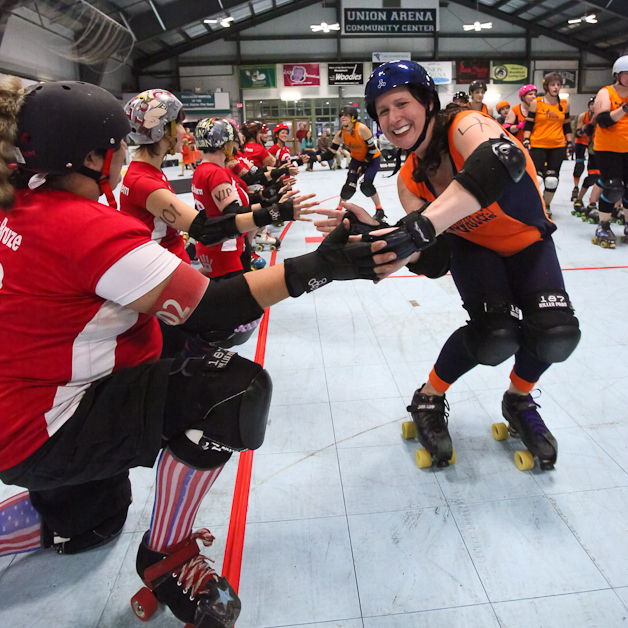 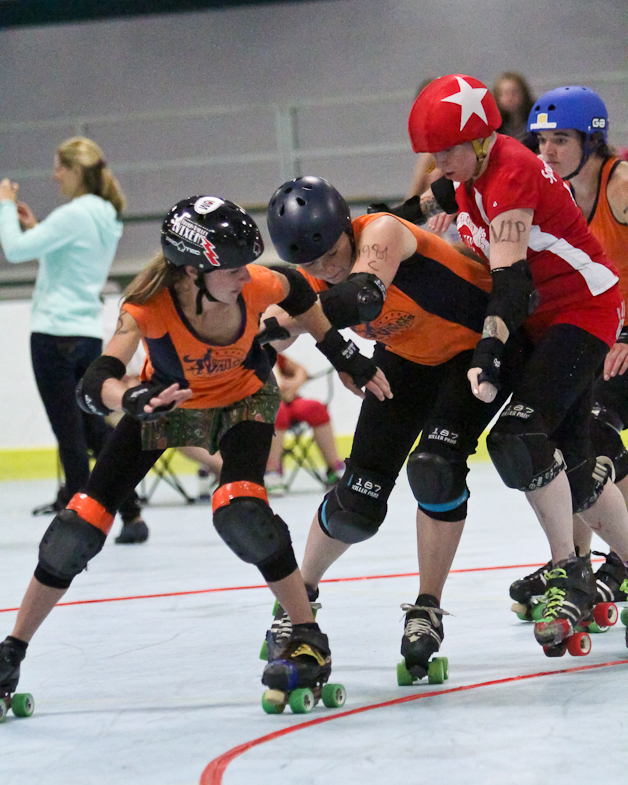 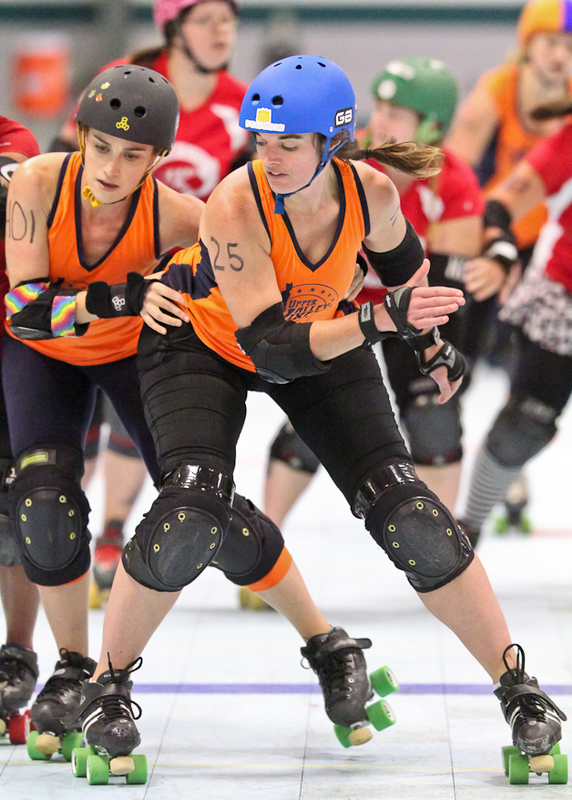 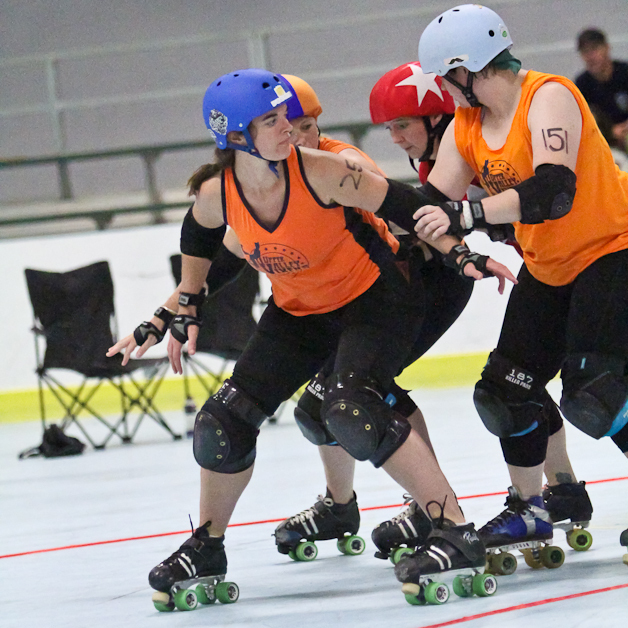 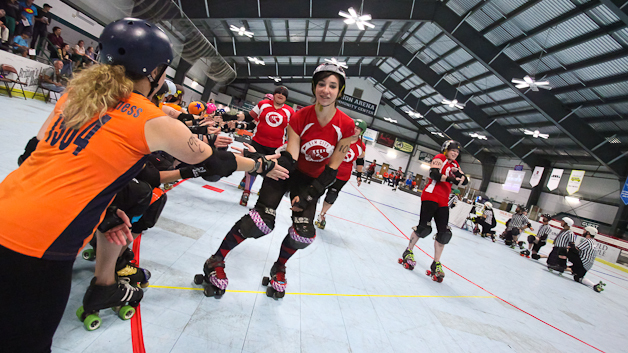 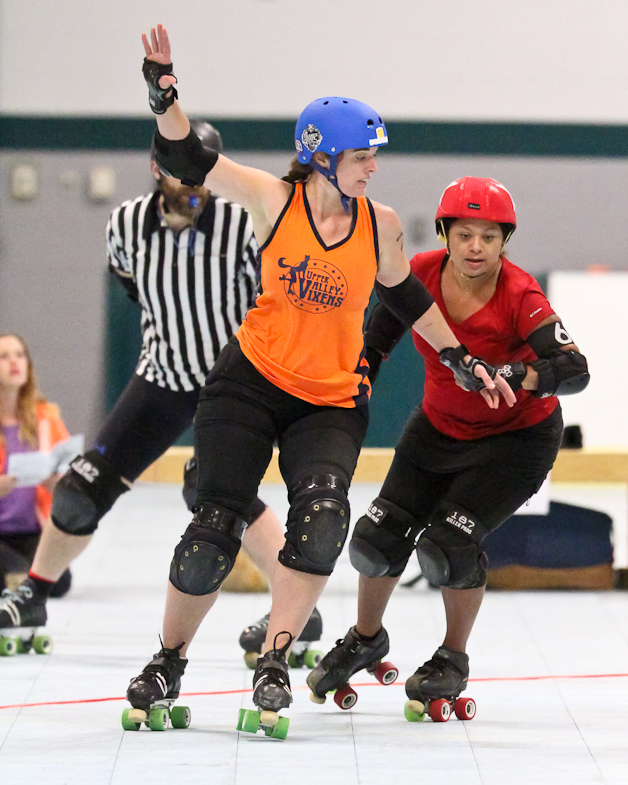 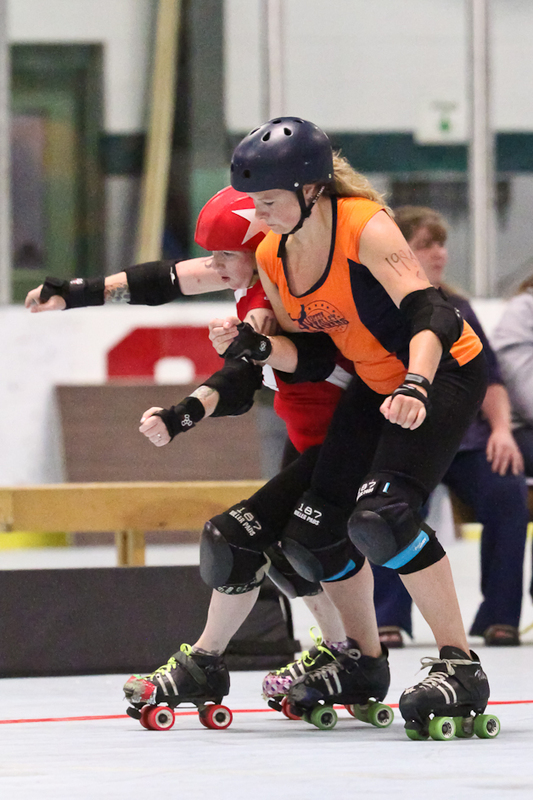 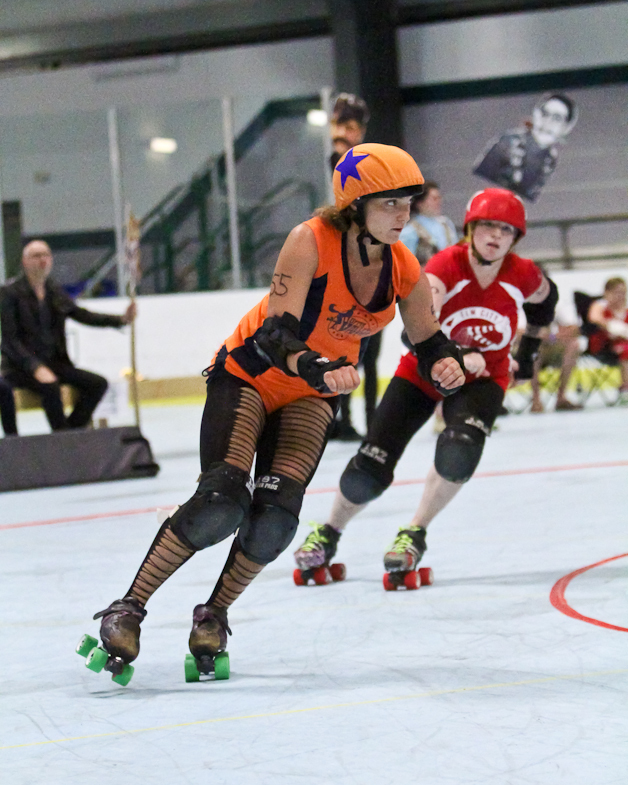 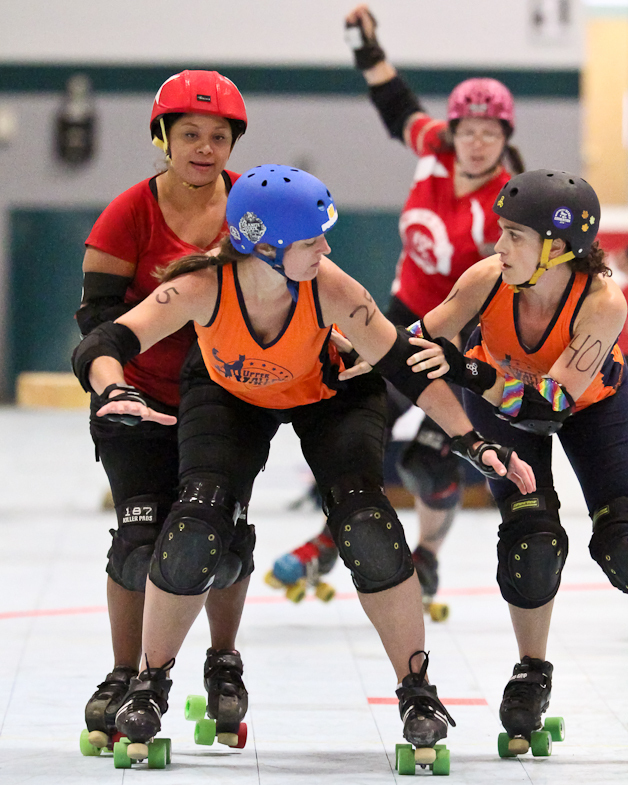 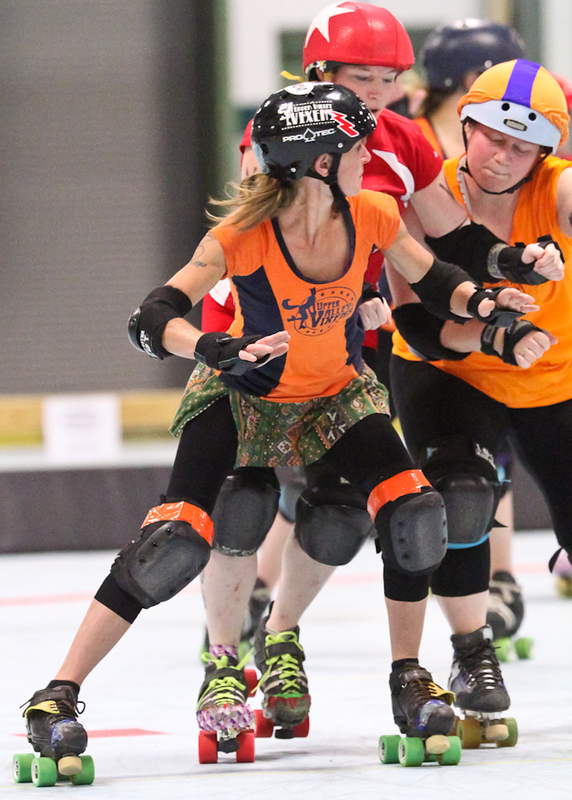 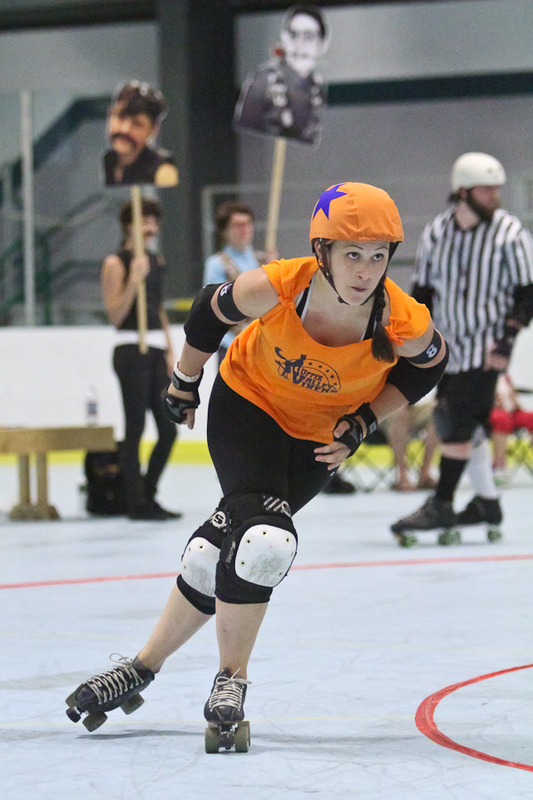 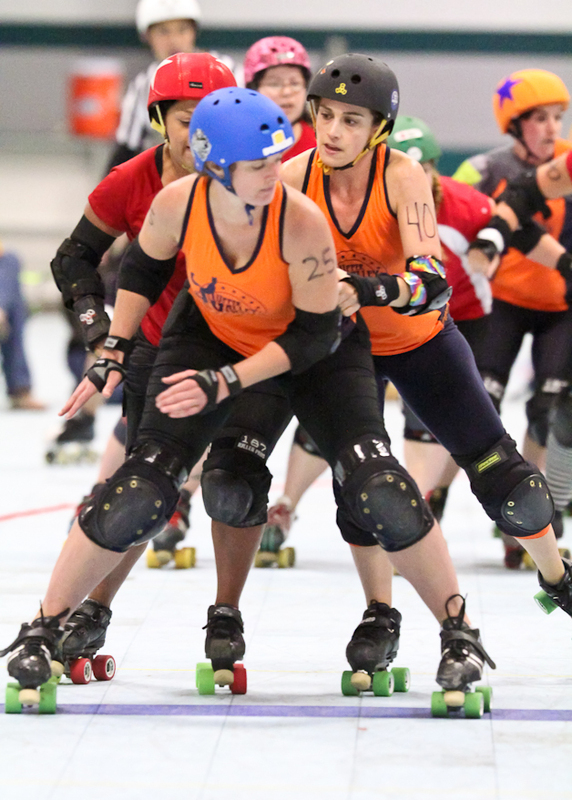 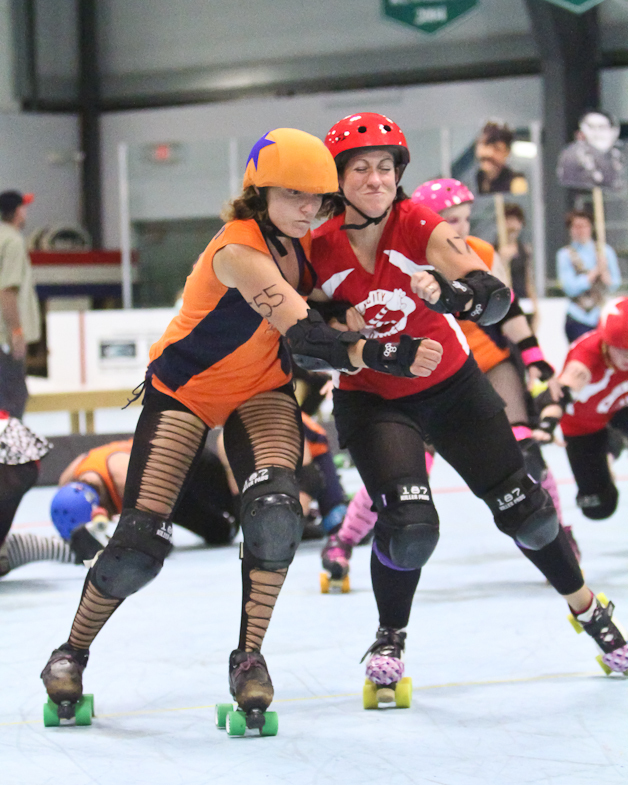 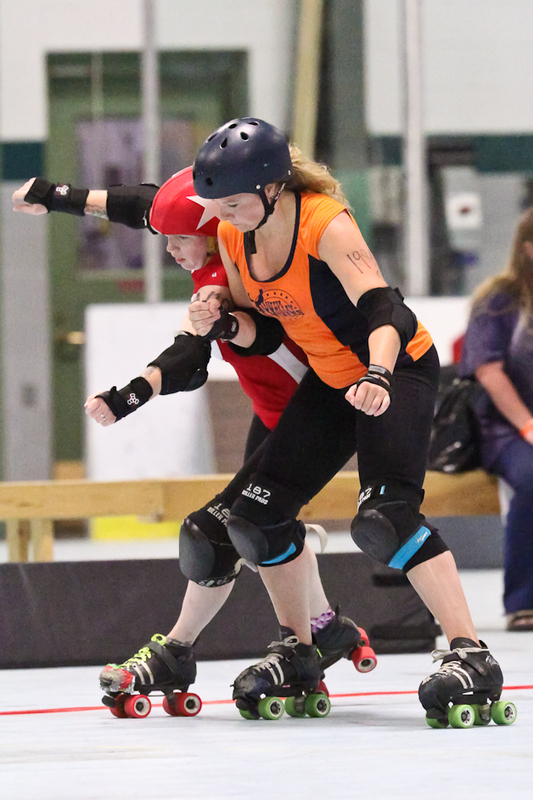 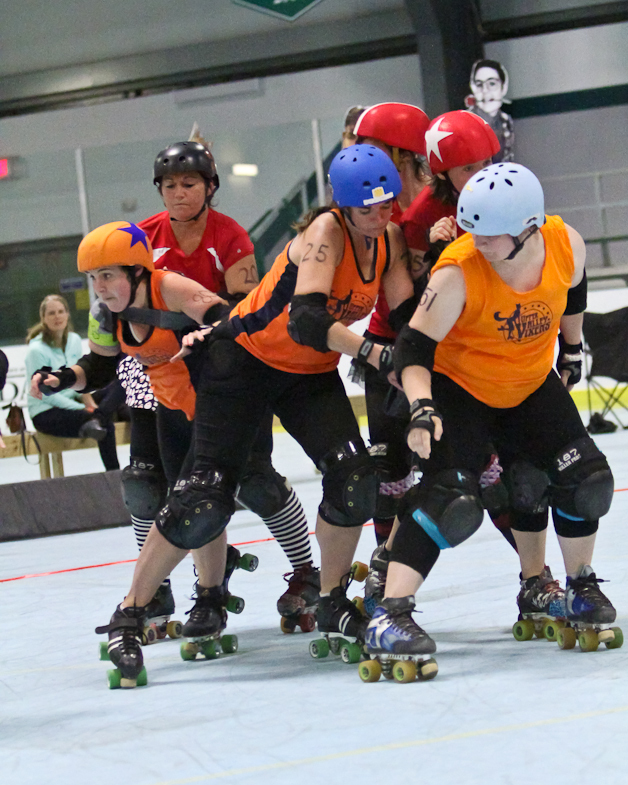 The Elm City Derby Damez lived up to their rep: lots of contact, lots of blocking, big hits and women on the floor everywhere.